When it comes to having conferences and meetings, whether internal or with an external entity, you want the setting to be professional and neat. 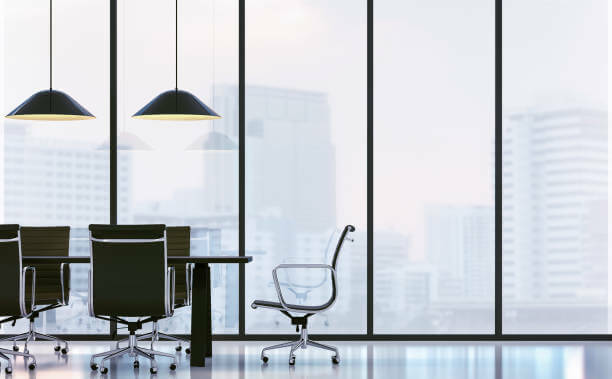 Whether you work in a digital marketing industry or for a corporate stakeholder, your boardroom is a place for business and when it comes to business, we like to keep things clean. 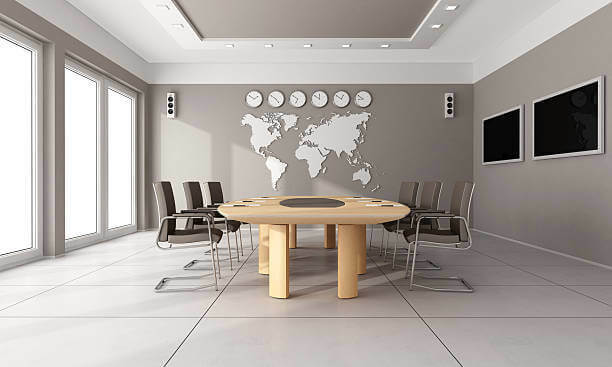 One of the main things you need to look at is your boardroom wallpaper and design. These two are the core elements of the end result and need to complement each other in such a way that it still corresponds with your brand. 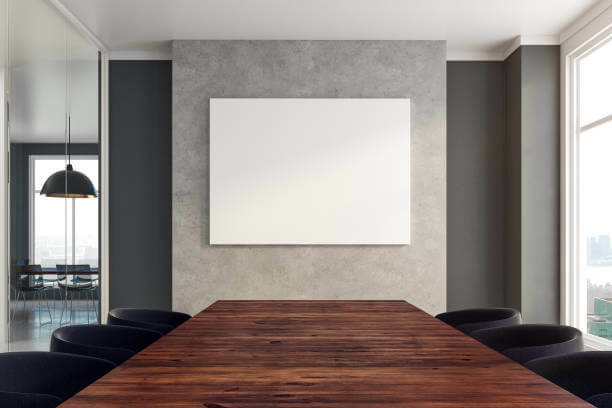 Now, before you ask, we’ve put together a comprehensive list of tips for you to keep in mind when it comes to your boardroom wallpaper and design. 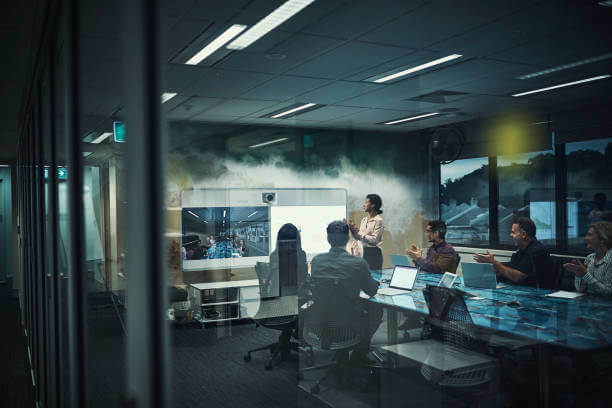 If you have meetings that require a large amount of seats, even if it only happens once in a blue moon, you’re going to want to be prepared for that. Make sure that the room itself is spacious enough for people to move around inside comfortably without bumping into each other or surrounding objects. 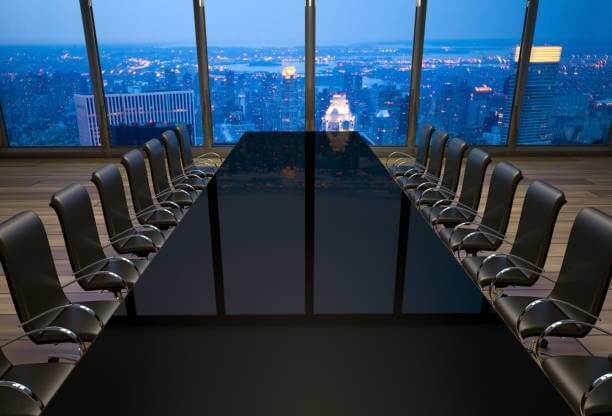 The tables and chairs you choose for your boardroom play a very important role as this will ensure the guests’ comfort. The table itself has a lot of aspects to consider such as the shape, the size, colour, material it’s made from as well as the positioning relevant to the walls and the shape of the room. The same counts for the chairs. You can get very creative with the design of these, so take your time and play around with a few ideas. 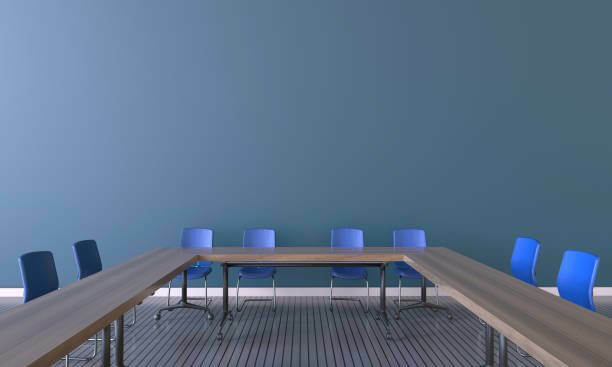 Your boardroom wallpaper is going to be the ultimate masterpiece of your meeting space. Depending on the size of the room and the length and width of the wall, you have many options here. 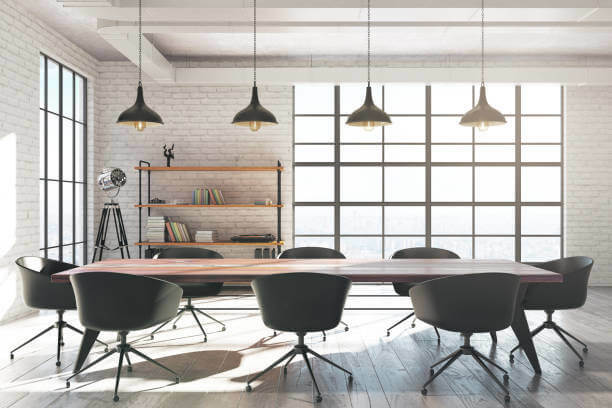 From monotone colours to unique designs, you can really set the tone for your business’ office space if done the right way. 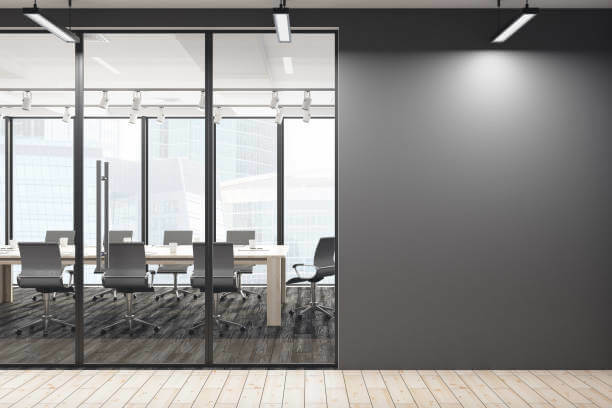 Lighting and ventilation plays a very important aspect and should only be decided on once you have made your final decision on the above mentioned factors. The lighting should complement the rest of the room both in terms of their design and brightness and colour. Brightness is very important as if it is too bright or dim, people’s eyes get tired a lot faster from concentrating too hard and a lot of people might lose focus and feel lethargic. You also need to make sure that the ventilation is perfect and that an average room temperature can be kept throughout the whole year. 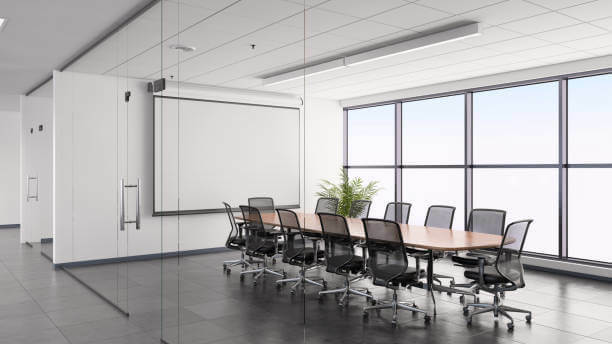 Being prepared for meetings shows that you are attentive, detailed and involved in the project. No one wants to arrive at a meeting and have technical issues or human errors delay it. 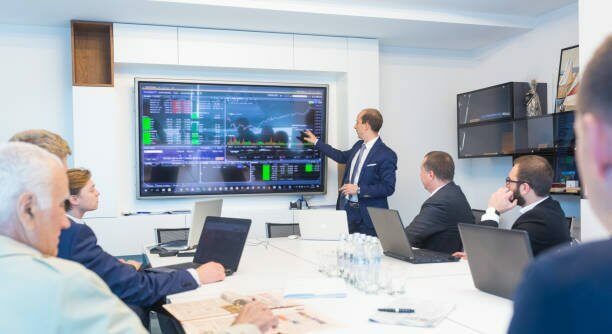 Time is precious and when it comes to meetings, they should be handled efficiently yet swiftly and straight to the point. For this very reason, be sure to have well-operating systems installed and ready beforehand. This way, everything runs smoothly which generally always adds up as a bonus due to a great experience had by the guests. All in all, it comes down to one thing only and that is to uphold the name of your business and here at Budget Banners, your success is our success. 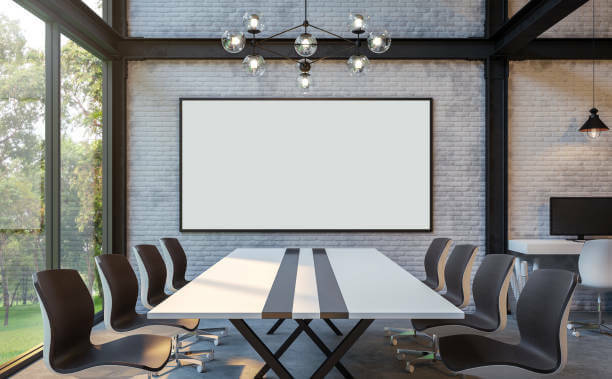 Our boardroom wallpapers can be customized to your every need and our team of experts would be honoured to assist you where needed.